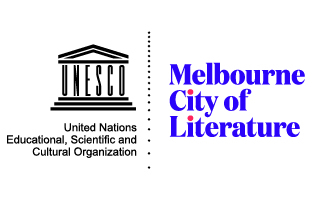 In a recent essay for the London Review of Books, Ben Lerner provocatively suggested that the reason that we dislike poetry (as Marianne Moore does in her infamous ‘Poetry’, which begins ‘I too dislike it’) is that all poems are failures. 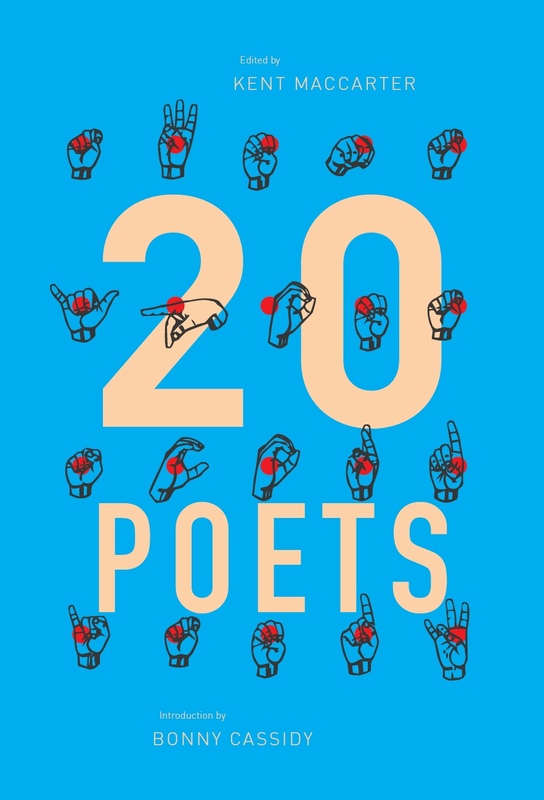 Each poem is an attempt to translate experience, research, idea or desire into language, and in that leap something is invariably lost – and, I would say, gained – because success is not the polar opposite of failure, but its way of proceeding. The success of a collection of poetry depends upon how the poet, rather than denying this inevitable ‘failure’, acknowledges and incorporates it. Anatomize by Natasha Dennerstein and Fish Stories by Mary Cresswell have taken on the formidable challenges of translating, respectively, the body and the ghazal. Both are impressive successes which take loss and dissolution into the heart of their poems, through a sober playfulness. 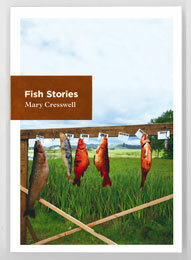 In Cresswell’s Fish Stories, the ghazal is the predominant form. For those attempting English-language ghazals, how to pronounce the word is only the first of the tricks it plays on the poet (certainly more like ‘guzzle’ than ‘gah-zaal’, but even that isn’t quite right). The form is composed of a string of couplets, usually between five and twelve, each one autonomous yet somehow linked, almost imperceptibly so. Importantly, the ghazal marries this enigmatic energy with a strict formality, which grants the form its unique tension. Each couplet ends with a refrain (radif) preceded by a rhyme (qafia). For many reasons, Arabic and Urdu find end-rhyme a cinch compared to English. And Western poetry seems intent on either narrative or explosively-free experimentation. No wonder the ghazal first made its English appearance in versions that, despite their undeniable beauty and power, arguably don’t deserve the name (though there are exceptions emerging, not least Nachoem Wijnberg). No one mentioned how ghosts slip back in the day. Daisies and dahlias inhabit bright fields. Night-blooming jasmine falls slack in the day. but don't always get the knack of the day. champagne for breakfast, arrack in the day. fault lines emerge. They will crack in the day. we are waiting – pulled taut on the rack of the day. As the ghazal proceeds, Cresswell’s reader oscillates between deep immersion in the image or mood of each couplet, and an almost detached anticipation of the coming rhyme and refrain. How will the poet do it this time? When it arrives – with ‘slack’ or ‘rack’ – there can be a jolt of both recognition and pleasure. Along with genuine affect, these ghazals carry a sense of performance; they are deeply sincere, yet also self-conscious, each couplet an opportunity for the virtuosic gymnastics of shifting (yet coherent) moods. In English this delicate balance always runs the risk of falling dully into hollow sound. Cresswell is conscious of this, and is drawn towards the limits of the ghazal, to see how stretching the form may paradoxically excavate its obscure heart. Often in Fish Stories, the rhyme and refrain are combined, or a half-rhyme used. A number of Cresswell’s ghazals use tercets to extend the anticipation, as in ‘Chant for the return home’; or alternate between couplets and tercets, as in ‘Consensus’, where they are as tidal as the structure of the poem and its refrain of ‘the sea’. These compelling versions are, to my ear, potentially more resonant and productive translations of the form into English than the strict formal version. Cresswell’s rigorous playfulness ensures that when ghazals appear which are of the free-form style, with no rhyme or refrain, such as ‘South Sea Ghazal’, the echo of the original still resounds. ‘Still Life with Misgivings’ leaps across disorienting and disquieting couplets, ending: ‘When silence clambers through the windows / the dawn chorus scrambles to be next’. Her language alternates between (and sometimes merges) lyrical compression and blunt vernacular – from ‘The sky hangs limp as Spanish moss, the clouds run through’, to ‘We found that out / last year: you were rode hard and took a long time dying’ (‘Blue’). Cresswell’s ghazals also differ in that they don’t yearn for the divine or earthly beloved, but manoeuvre through subjective and collective states of foreboding and aftermath. Mysticism and wisdom is suggested, obliquely, in poems such as ‘Waste Lands’ and ‘Waiting Room’, but ,em>Fish Stories is dominated by shorelines, the open seas, natural disaster, forced migration and national borders, war and grief, weather and time – motifs of disruption and liminality – suggesting the beloved might in fact be the earth. Where ghazal master Ghalib was utterly invested and self-critical, Cresswell maintains an ironic distance. The poetic register here hovers between impersonal and personal, more interested in connectivity than confession. There is a kind of detachment that emerges, it would seem, not only from aesthetic choice, but implicitly from within these forms. This is most evident in the other forms Cresswell engages in, centos and glosas in particular. These include deeply collaborative, excavating and elaborating lines from Judith Wright, Audre Lorde, Rae Armantrout and Eavan Boland. Her influences (and points of departure) are evident; the poems come across as readings, extrapolations and concentrations. Formally clear yet richly complex, Fish Stories even transcends the somewhat odd publishing decision of beginning each poem on the recto, which, given that most poems fit into one page, leaves many blank pages. The body, too, presents tremendous complexities to the poet wanting to translate its speech into poetry. There is an absolute singularity to each incarnation, each individual body. On the other hand, there is the commonality of embodiment, the flesh and its impersonality. So does the poet write of ‘this body’ or ‘the body’? Natasha Dennerstein’s debut collection of poems, Anatomize, avoids this dichotomy, articulating an embodiment which is both strikingly personal and hauntingly impersonal. The collection is thematically grouped, with sections such as ‘skull & bones’, ‘blood’ and ‘hair, teeth & nails’, so there is a risk here of pre-emptively shrinking the potential resonances of individual poems. But Dennerstein proves herself adept at leaking out of the categories, mostly through associative leaps, punning linguistics and a blunt visceral intent. Prose-poem ‘The gall’ begins with an almost slam-poetic tumble of rhyme (‘Gall bladder causing a squall in the mall’); segues through absurd culinary and pop culture references (Peking Duck and Donald Duck) into a dizzying surgical and existential mode (‘We are all corpses waiting to happen. Our cells contain the seeds of our decline’); ending with an almost camp condemnation of bitchiness (‘What a gall!’). among the kitty litter of your ashes, babe. Dennerstein is not a philosopher as much as an observer and a conjurer of the body. These poems often incorporate medical and scientific terms, but the perspective and overall language is invariably democratic and compassionate. ‘Strawberry Blonde’ casually eviscerates the prejudice commonly experienced by people with vitiligo, noting the beauty of ‘the variegated nasturtium’ and ‘the piebald palomino’, and how genetics ‘splatters glorious streaks / on all species under heaven’. With such a persuasive and intoxicating arc to the poem, it was an anticlimax to read (even ironically) that ‘perfection is expected / in the human complexion’—overall, the poem clearly sees the condition as part of human variation, yet the phrase merely depicts the false idea of perfection, rather than inverting or undermining it. This entry was posted in BOOK REVIEWS and tagged Andy Jackson, Mary Cresswell, Natasha Dennerstein. Bookmark the permalink.